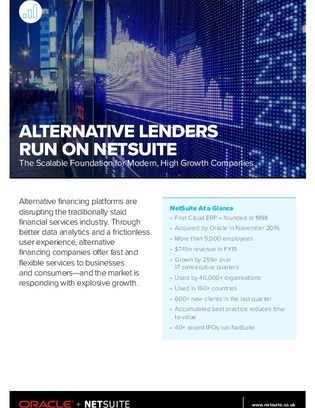 Used by over 40K organizations, NetSuite is particularly popular among businesses in rapidly growing industries, such as alternative finance. Why? Because NetSuite is designed to provide the sophisticated auditability and financial controls required for modern scalability. “NetSuite gave us the agility to adapt to change and the scalability that we needed,” Avant CEO Al Goldstein said.